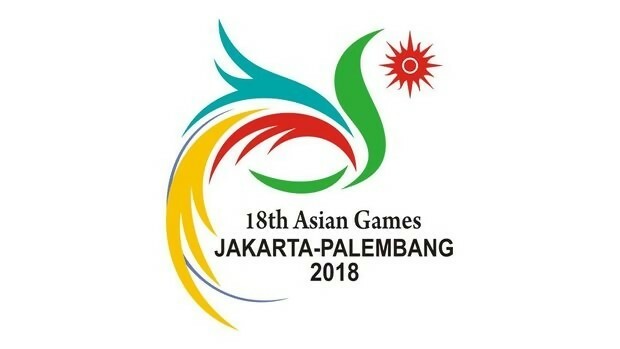 Another Asian Games coming to an End, but Asian Games for Bangladesh have already ended. Bangladesh’s medal expecting events are also finished. Now just waiting to return home with absolutely nothing. Apart from the SAFF Games, getting any medal for Bangladesh in any of the greater sports events has become an accident or upset. But Bangladesh did not have the chance to do the same in this Asian Games held in Jakarta and Palembang of Indonesia. Although the Asian Games is closing off on September 2, there is no hope of winning any medal for Bangladesh. Shooting is one of the main events from where Bangladesh’s flag comes in the news headline of any international sporting event. Furthermore, the shooting team used to practice for a long time in the hope of winning the Olympic medal. But it doesn’t make any difference. 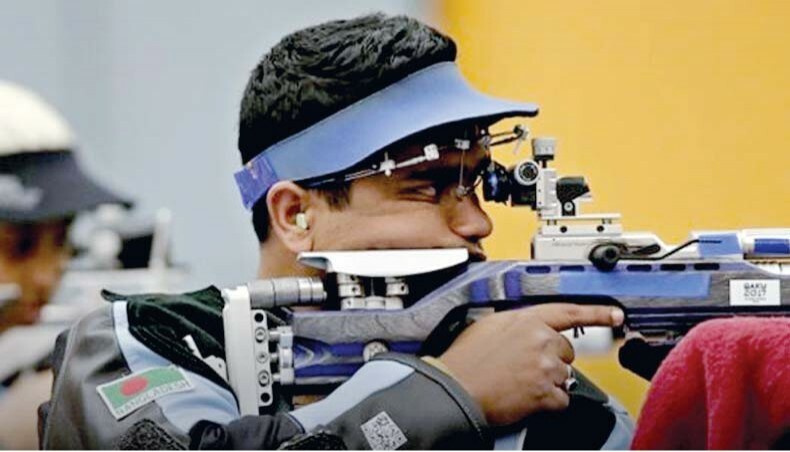 Shutter Abdullah Hel Baki, the Silver medalist from the Commonwealth Games, has been in the 19th position after the 10 Meter Air Rifle, and Shakil becomes 22nd 10 Meter Pistol. While the shooting is struggling in such ways in the Asian Games, then the Olympic medal sounds like a fairytale dream. However, Bangladesh expected at least one medal from the Women’s Kabaddi team. But the women’s Kabaddi team failed to qualify for the semi-finals from the group stage. The win against Chinese Taipei was the most expected but they couldn’t manage to do so. In the last Asian games, Bangladesh defeated Korea to won the Bronze, but they lost against them as well. And the defeat to Iran was inevitable. Hijab-wearing Iranian girls have won gold by defeating Indians. Bangladesh has so far been in the Bridge event. After winning the first three matches, Bangladesh is at 11th in the fourth round. But still 3 rounds left, so no one is looking forward to winning a medal from here. And no one is expecting Siddikur & Co will do something extraordinary in the Golf event. On the other hand, the football team did something unexpected. They played in the second round for the first time in history. In Archery, Archer Roman Sana reached the quarter-finals in the Recurve event. In Hockey, Bangladesh has defeated Oman and Uzbekistan in first two games but lost to Malaysia by a big margin. By defeating Oman, the hockey federation is trying to get some satisfaction. But those performances are positive indeed, but this is not enough to put Bangladesh’s name in the medallist. Bangladesh took part in Asian games for the first time in 1978. For the first two attendance, they have returned to the home with nothing. But in 1986, Boxer Mosharraf Hossain came as a blessing for Bangladesh. He won the Bronze medal in The Boxing event. So far, this is Bangladesh’s only personal event medal at Asian Games. After that, the Men Kabaddi team won three Silvers in 1990, 94 and 2002. And won two Bronzes in 1998 and 2006. Although, back then the competition in male Kabaddi was very less. 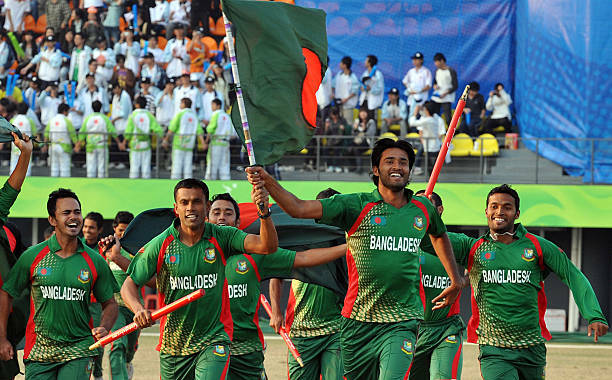 In the 2010 Guangzhou Asian Games, Bangladesh won the first Gold medal in the men’s Cricket. In 2014, Bronze came from the same Men’s Cricket team and the Women’s cricket won the Silver. But this year there is no cricket, so there is no question of winning the medal from this event. Whatever, Bangladesh has continued to taking part in the Major Sporting events as per flowing Olympics motto “Not the medal, Participation is the big thing”. But how much longer things will go like this? After a long 32 years, Bangladesh has returned home empty-handed from Asian Games. Even after this shameful news will this country’s Sports Administration move a bit?